Turn your fireplace mantel, staircase or door frame into a spooky Halloween display. 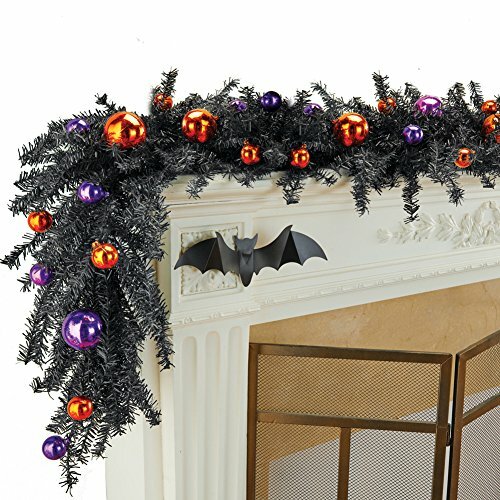 This black garland is accented with orange and purple ornaments and has hooks at each end for easy hanging. Plastic and iron. 60"L.